The NBA lockout begins: The Wall Street Journal reports that negotiations between the NBA owners and players’ union broke down and a lockout will start Thursday night. 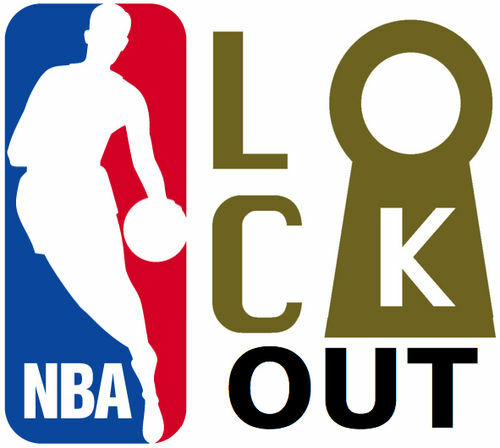 Breaking down the NBA lockout: Sports Illustrated columnist and Vermont Sports Law Professor Michael McCann answers fans’ questions about the lockout and analyzes various legal arguments on both sides. How an NBA team makes a profit look like a loss: Deadspin compiled an impressive audit of the New Jersey Nets financial records from 2003-08 that shoes how the team manipulated financial statements to make it appear as if the profitable team was really losing money. This will only add fuel to the lockout fire. PGA renames Bob Hope Classic: The Desert Sun reports that the Bob Hope Classic will be re-christened the Humana Challenge for 2012. The new name will coincide with other big changes in the tournament, including a new eight-year sponsorship deal with health-care conglomerate Humana, a working relationship with former President Bill Clinton and a new four-day, three-course format. Olympic revenue sharing and a possible US bid in 2020: The Chicago Tribune reports that the USOC is considering a bid for the 2020 Summer Olympics, but that revenue sharing has hurt America’s chances of hosting the games. The USOC gets 12.75 percent of U.S. broadcast rights and 20 percent of the IOC’s global sponsorship revenues. For five years, many IOC members have been demanding the U.S. take a smaller share. Acrimony over that issue helped scuttle Chicago’s 2016 bid.